I was 17 when Will ­Powers was singing Kissing with Confidence. I vividly remember the distinct lack of confidence I had in that department. Who had the first idea how to kiss properly? Getting it wrong just didn’t bear thinking about. Running Elevator in the north-east of Scotland brings me into contact with around 2000 start-ups and 500 growing businesses every year. These tend to be set up by energetic people but, as well as enthusiasm for their product, they must also have ­talent if they are to be successful. They must also develop a wide spectrum of skills and this is something they rarely present in the early stages of starting up. I have been asked many times how we identify those most likely to become successful entrepreneurs. There is no easy answer, but when I have someone who understands how to sell, it gives me some comfort that they have one of the necessary key skills. Many, however, present ­themselves like the 17-year-old yet to have their first kiss; frightened of selling, scared of ­possibly getting it wrong and being rejected and having no desire to be perceived as a stereotypical ‘salesman’, those door-stepper types who simply open their bag and hope you like what’s inside. It is difficult for one person to build a business. With so much to do and so many skills needed, the chances of them continuing for any length of time as one ­person is slim. Whether at the start-up stage or very soon thereafter, a team must form if the business is to progress. In the US, entrepreneurial ­supporters suggest that any successful business requires a ‘hacker’ and a ‘hustler’, the former being a technical expert who knows the product/service inside out, while the latter knows how to sell. More recently, the ­‘hipster’ has emerged as the third person in the dream team, someone who understands how important design has become, not only in how build a product but in how we package it, promote and ­market it to the world. A recent business trip to the Boston-based Massachusetts Institute of Technology (MIT), Harvard and Babson College was very enlightening. When asked to give their impressions of Scottish business, I heard a lot about our intellect, creativity, research and innovation, but I also heard loud and clear that they think we cannot sell. Business development is seen as a sophisticated skillset and a valued commodity. Do Scottish businesses have a crisis of confidence in their ability to develop business through selling? Are we really a nation of 17-year-old kids who have no idea how to kiss with confidence? Perhaps it is time for us to pucker up a bit more! Whether we have a problem or not, there is nothing wrong with sharpening up our business development skills and so for two days this week I attended an extremely enlightening and informative training course run by, you guessed it, a company called Kissing with Confidence. 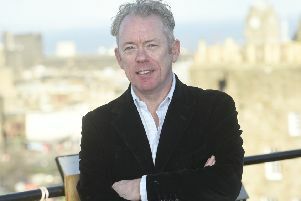 Professor Gary McEwan is chief executive of Elevator, which provides Business Gateway support in Aberdeen.